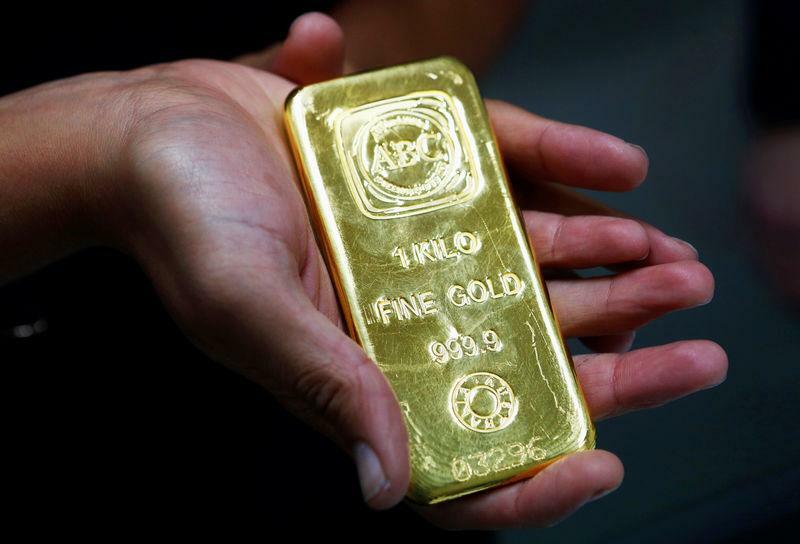 (Reuters) - Gold edged higher on Friday as weak economic data from the euro zone exacerbated fears of a global slowdown, weighing on risk sentiment and putting bullion on track for its best week in nearly two months. Spot gold was up about 0.4 percent at $1,314.56 per ounce by 10 a.m. EDT (1410 GMT), while U.S. gold futures gained 0.5 percent to $1,314.30. "The U.S. Federal Reserve suggested U.S. economic growth was slowing, which has spilled over into notions that the rest of the world economy might be experiencing slower growth. That was highlighted by the PMI data out of the European Union, auguring for some trepidation in the world's stock markets." European stocks suffered after the weak data, while U.S. stocks opened lower. Earlier this week, the Fed brought its three-year drive to tighten monetary policy to an abrupt end, abandoning projections for any interest rate hikes this year. Gold prices rose to their highest since Feb. 28 on Thursday at $1,320.22. Despite paring some of those gains, they were still on track for a third straight weekly gain, up about 1 percent so far. "With the geopolitical and the (uncertain) Brexit situation, we may still be heading higher." Among other precious metals, spot palladium fell 2.6 percent to $1,565 per ounce, after touching an all-time high of $1,620.53 in the previous session. Silver was down 0.4 percent at $15.41 per ounce, while platinum fell 0.8 percent to $851.46. Platinum has risen nearly 3 percent so far this week.